So … you’re saying they are accurate 1% of the time? Score! Seriously, though, it’s nice to hear any leaks out there have merit at all. But the point is that we’re probably not getting solid intel from toy leaks, so maybe don’t put too much faith in looks at Pepper Potts’ armor and other early designs. (Last year there was a Cap shield action figure toy leak that seemed to pan out.) 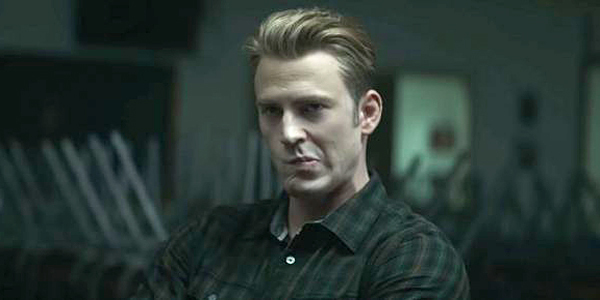 We may not even be getting solid intel from the new trailers, since they did that “misdirect” thing with the Avengers: Infinity War trailers last year. Don’t go storming the castle of the visual effects locations, though. We’re not too far away from seeing this movie the way they want us to see it — on the big screen on or after April 26. The Russo Brothers recently confirmed the roughly three-hour runtime is still in play. They said the movie has tested well with audiences — that’s another group to add to the intel list — but they still aren’t 100 percent done with the post-production process. Personally, I’d be fine if that was all the new footage we got until the film’s release date. And not just because half of it is probably misdirection anyway. We already have Captain Marvel coming as the first MCU film of 2019, and that film is going to lead into Avengers: Endgame, which is the “culmination film of 22 movies,” as the Russos previously put it. I’m a big fan of theories and speculation as a way to fill time, using existing footage from trailers and all the intel in those previous movies (20 to date) in the MCU. For some fans, that may include reading into toy releases as a launchpad for speculation. (I wasn’t planning to read into Captain Marvel‘s Goose the Cat Funko bobble-head, but now that I know there’s a 1% chance it’s telling me something…) Other fans aren’t that into theories and speculation, they just want the movie in front of their eyeballs. Well, soon enough.